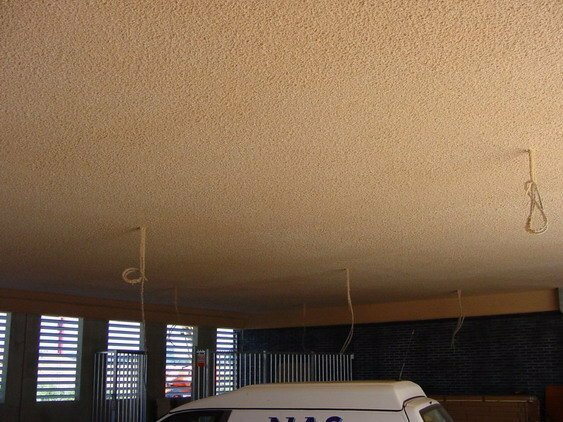 Sonatherm thermal acoustic insulation is a seamless, decorative ceiling and wall finish that can be applied to most surfaces or constructions. 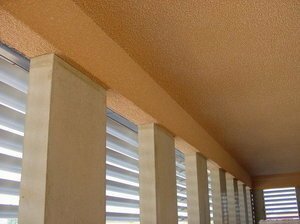 Sonatherm insulation consists of panels of expanded polystyrene over sprayed with a choice of SonaSpray acoustic finishes to achieve a fire rating and attractive appearance. 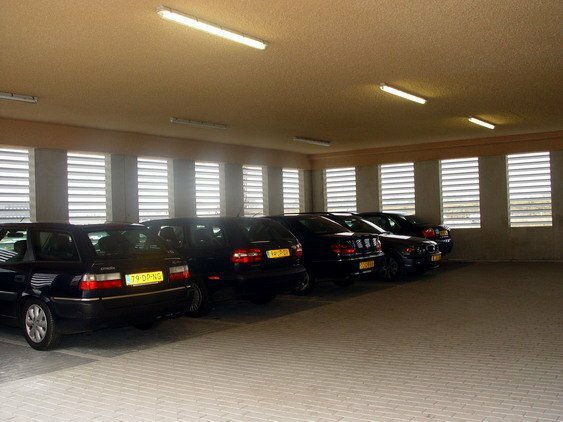 Sonatherm is ideal for basement car parks, cantilever buildings and balconies. By varying the thickness of the polystyrene slab all permutations of insulation are achieved. The layer of SonaSpray also means that any sound is absorbed rather than being reflected, considerably reducing reverberation times and therefore reducing overall noise levels. 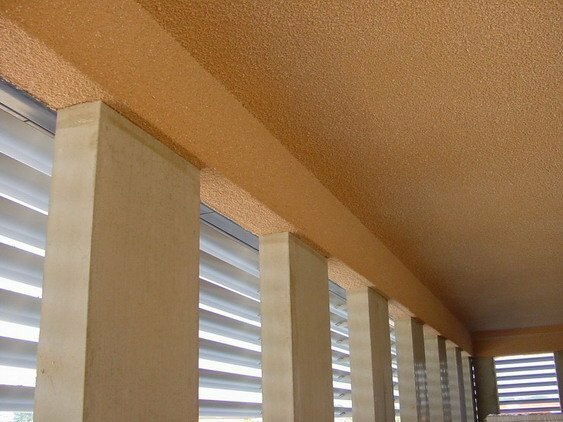 Sonatherm is perfect for thermal acoustic insulation. Reconstruction of a building may necessitate removal of the SonaSpray and EPS components of Sonatherm. The SonaSpray component can be recycled or disposed of as a non-special waste to landfill. 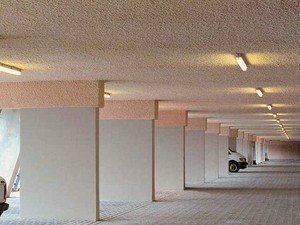 Sonatherm thermal acoustic insulation can also be used for the soffits of walkways, underpasses and balconies. In any area where it is protected from direct rain, architects can employ the insulating and acoustic properties of Sonatherm to the full. 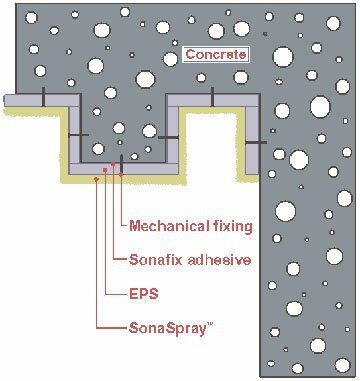 The Sonatherm polystyrene slabs are fixed with adhesive and mechanical fixings to the substrate; this procedure is quick. Spraying the surface with SonaSpray which then follows, is even quicker allowing us to offer very economical solutions and added value to the building. 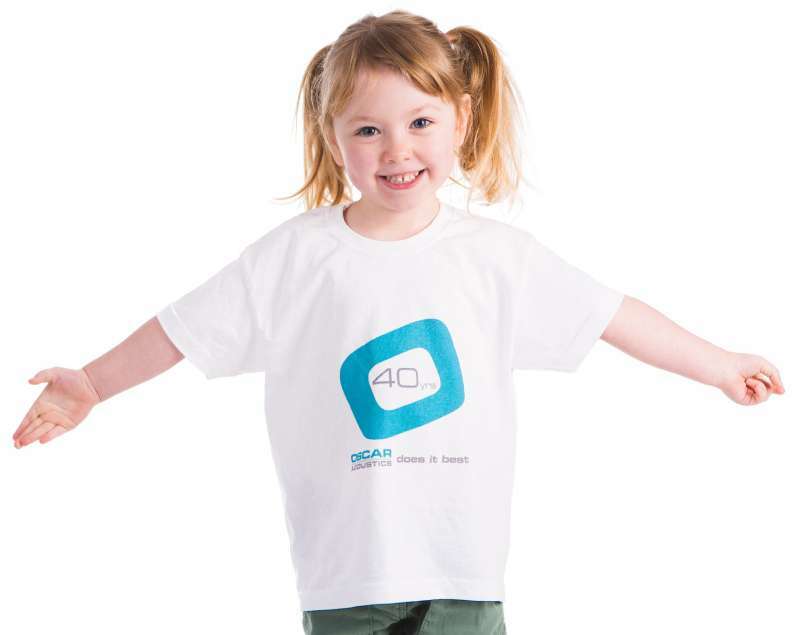 The exceptional noise absorption quality of Sonatherm thermal acoustic insulation offers buildings, e.g. 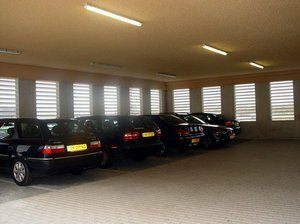 basement parking, an acoustic comfort that must be experienced to be appreciated. Cutting noise pollution for surrounding areas with an environmentally friendly, recycled product is a truly worthwhile benefit. Local repairs of small areas are performed by hand. 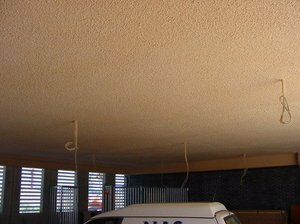 A wall or a ceiling can be entirely over sprayed in the same or a different colour. It is also possible to spray with a water based paint - please contact our Oscar Acoustics technical department for further details. Dust can be removed by blowing with an air pressure gun or by vacuuming with a soft brush attachment. SonaSpray K-13 special is available as standard in colours: Light grey, beige, off white and black (blues and greens often available as standard). Sonaspray fc is available in white as standard. Almost any colour is possible if the size of the project warrants this option.